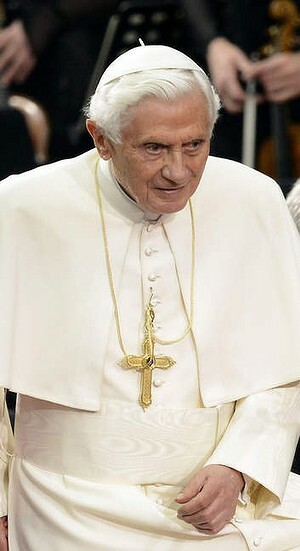 Home » World » Europe » Pope Benedict Resigns! Pope Benedict has announced his resignation. A Pope handing in the resignation is not very common, as a matter of fact the last Pope to have resigned was nearly 600 years back. So, why is the Pope resigning? “Strength of mind and body are necessary, strength which in the last few months has deteriorated in me to the extent that I have had to recognize my incapacity to adequately fulfill the ministry entrusted to me,” said Benedict, 85, according to the Vatican. This news has shocked the Catholic world. A Pope resigning is so rare that the Church officials aren’t really sure what the pope must be called after he resigns. Benedict will become the first pope to resign since Gregory XII in 1415. In that case, Gregory quit to end a civil war within the church in which more than one man claimed to be pope. Benedict’s decision was not expected by leaders and everyday Catholics around the world. “Yet, on reflection, I am sure that many will recognise it to be a decision of great courage and characteristic clarity of mind and action,” he said in a written statement. Archbishop Timothy Dolan, president of the U.S. Conference of Bishops, said he was startled, and sad, to see Benedict resign. British Prime Minister David Cameron said Benedict “will be missed as a spiritual leader to millions.” Cameron’s Irish counterpart, Enda Kenny, praised Benedict for decades of leadership and service, as well as his decision to resign. “It reflects his profound sense of duty to the Church, and also his deep appreciation of the unique pressures of spiritual leadership in the modern world,” Kenny said in a prepared statement. Prince William, Kate makes Unscheduled Visits! Boeing Airliner Crashes in Russia, All On Board Killed! Komla Dumor, BBC TV Presenter Dies at 41! Previous: Usain Bolt, World’s Fastest Man – Beaten!